CONGRATULATIONS to JEANNE LARRANAGA, Ms. Indiana Senior America 2013! Jeanne Larranaga, a classically trained vocalist, has performed throughout the United States and Europe, including Carnegie Hall, Montserrat Basilica in Spain, and twice under the direction of famed composer John Rutter in Great Britain. Her love of musical theater has also afforded her the opportunity to work with such stars as Ed Ames, Betty White, Dirk Benedict, Pam Dauber and Carol Lawrence. After recording her solo CD, To Hear the Angels Sing, she contributed all profits to charities which in part, led to her selection as recipient of the coveted Dallas Steeple Award for Outstanding Female Soloist. As an experienced businesswoman and former vice president of sales for a women's apparel company, Ms. Larranaga managed a national network of sales representatives, coordinating multiple trade show activities. She was Branch Manager for a large Midwestern bank and co-founded Eagle Seminars, a dynamic motivational seminar company, providing leadership/teamwork principals to a diversity of businesses and organizations. A wife, mother of two adult children, and proud grandmother of nine, community is an important aspect of her life. Ms. Larranaga volunteers hundreds of hours annually and has taken leadership roles in numerous national, state and community organizations. Her service has included working with children through Optimist International, Scottish Rite Hospital, Ronald McDonald House, and she especially enjoys adapting and directing children's musicals. She has worked with the aged, helping establish and run a senior citizen's center and entertaining in numerous nursing homes. She has been recognized by American Businesswomen's Association (Businesswoman of The Year), American Association of University Women (Woman of the Year in the Arts) and American Banker's Association (Public Speaker's Form). 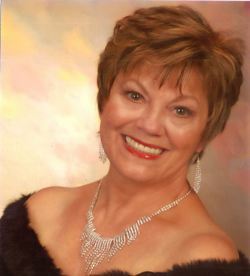 Since "retiring", Jeanne remains active in her community, helping to establish "Helping Hands of Stoneybrook"; her church, serving on several committees and working with the Fine Arts Committee to bring world renown performers for a concert series; and volunteering weekly with Hope Family Services to benefit victims of domestic abuse. She continues to sing with community choral groups, perform in leading roles with various community theaters, most recently the critically acclaimed role of "Norma Desmond" in the Florida premier of Andrew Lloyd Webber's "SUNSET BOULEVARD."